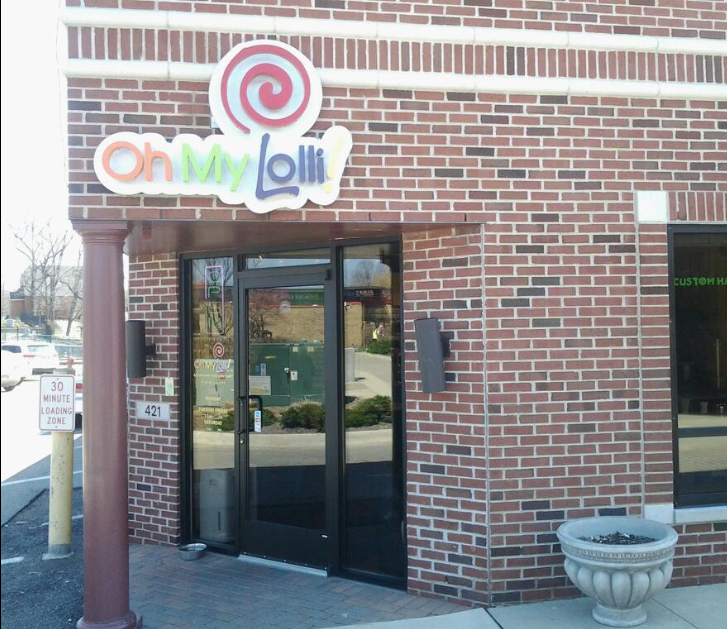 Our Story — Oh My Lolli! Oh My Lolli! started with a dream and many sleepless nights. Keith Karp had a dream to open his own business, but wasn’t sure what that business would be. Inspiration hit after reading how candy stores thrived during the Great Depression – perfect for modern day Michigan. His research took him far and wide as he discovered an age-old recipe from Europe, a modern twist in Australia, and some good old fashioned Michigan engineering know-how. Suddenly, his vision was clear and Oh My Lolli! was born. Oh My Lolli! is located in downtown Brighton, MI. We LOVE it here! The store faces the Imagination Station and the Mill Pond – it’s a feature of any visit downtown. At any given time you can find an audience watching as the candy is made right in the store. Using quality ingredients (natural oils and flavorings) from a Michigan based manufacturer, non-high fructose corn syrup, and pure cane sugar, Oh My Lolli! is back to basics candy – there’s nothing to hide. It is a fun and “sweet experience” for all ages to see the candy being made. We offer field trips, group tours, and birthday packages – get a personalized tour through the whole experience, from the molten candy, to the folding and rolling, and finally to the finished product. The candy made at Oh My Lolli! is ALLERGEN FREE! We are proud to offer a nut, soy, dairy gluten-free facility for your safety and enjoyment! Our facility and candy is FREE of common allergens such as all nuts, soy, dairy, eggs, seeds, and gluten. In addition, the facility we obtain Flavors and Oils from, have provided us with allergen reports, assuring that their facility is also nut, soy, dairy, and gluten-free. These allergen reports can be faxed upon request, or a copy can be picked up in our retail store location. Because we are a custom hand-made candy store, we also offer the opportunity to special order select flavors, without color, for anyone with a color sensitivity! Ingredients | Pure Cane Sugar, Corn Syrup (Non-High Fructose), Water, Natural Flavoring Oils and/or Artificial Flavoring, Color, and may contain Natural Fruit Citric Acid. Sugar-Free Lolli Ingredients | Splenda, Isomalt, Water, Natural Flavoring Oils and/or Artificial Flavoring, Color, and may contain Natural Fruit Citric Acid.